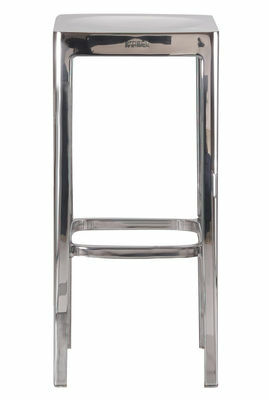 Created by Philippe Starck in 2002, the prototype version of this stool was first used in 2001 for the Mies van der Rohe retrospective at the Museum of Modern Art in New York City for a recreated café that Mies van der Rohe and Lily Reich originally designed, a beautiful space with waving curtains. The museum selected these stools as pieces that might have been chosen by Mies van der Rohe today. 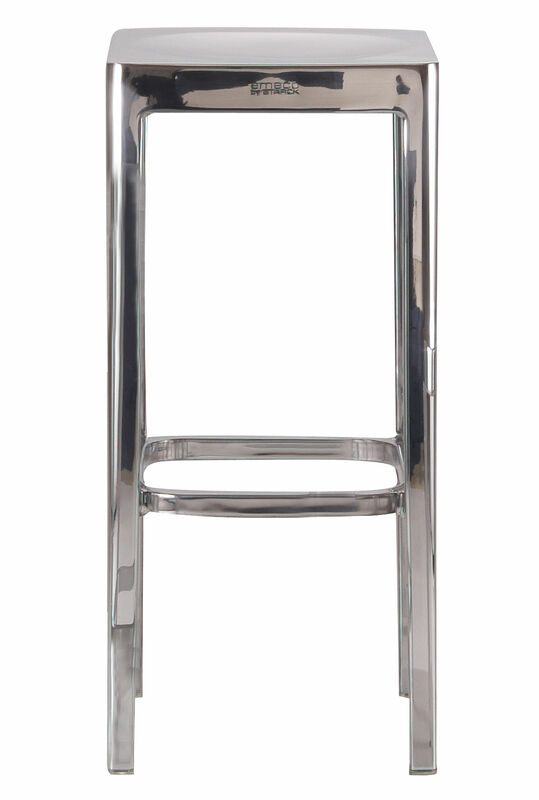 This Emeco Stool is 76 cm sitting height and is also available in 41 or 61 cm sitting height. 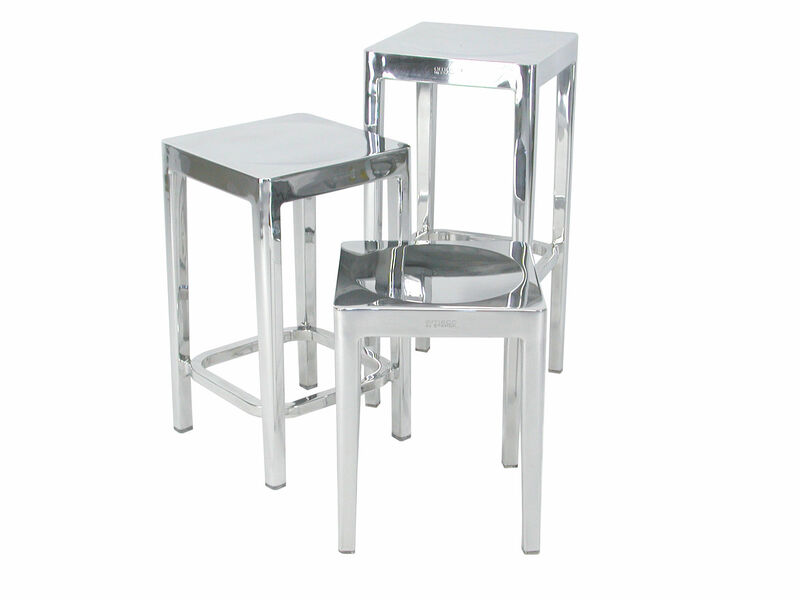 Emeco Stool is available in brushed or polished aluminium.